Marcel Kittel, the sprinter of the team Giant-Shimano, in a video prepared in collaboration with the ASO (Amaury Sports Organisation – the Organizer of the Tour de France) gave the cycling fans some safety advice. Last year, Garmin-Sharps’ David Millar also gave some quick tips about how to watch a cycling race live without putting in danger both the riders and themselves via twitter. Recently, during the Monte Zoncolan climb at stage 20 of the Giro d’Italia, a fan cost Bardiani-CSF rider Francesco Bongiorno the chance to fight for a stage win. A man wearing the UCI world champion’s rainbow jersey, wanted to give the rider what was intended to be a helpful push – a really big mistake, you should never push a rider who drafting, unless you want to him/her crash. Naturally, he caused Bongiorno’s bike to touch wheels with that of eventual stage winner Michael Rogers of Tinkoff-Saxo. Bongiorno had to unclip to avoid falling off and lost all his momentum, while Rogers rode away to the stage win. 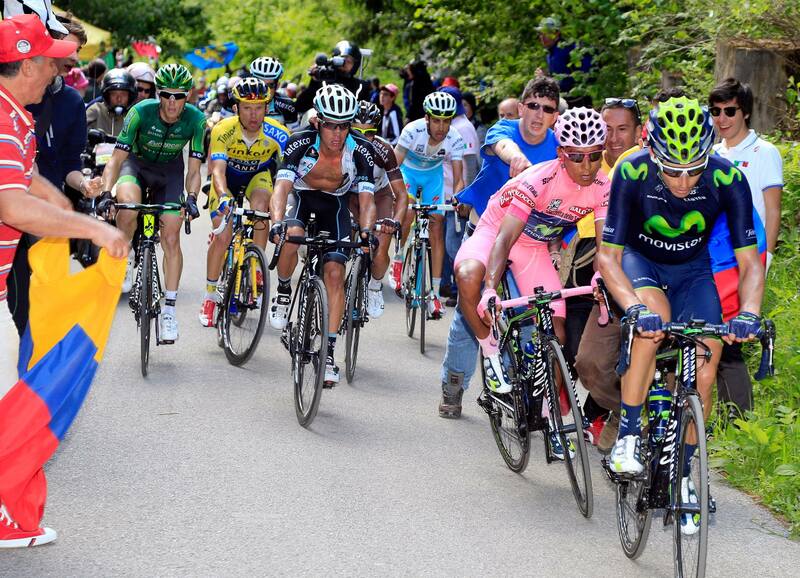 At the same stage, another fan tried to push the maglia rosa holder, Nairo Quintana, and he almost fell off his bike. 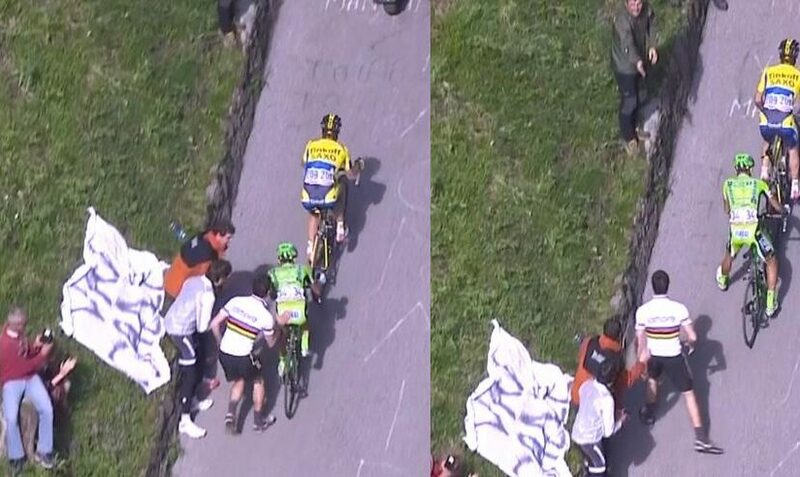 Stage 20 of the Giro d’Italia 2014, Monte Zoncolan climb: a fan tried to push the maglia rosa holder, Nairo Quintana, and he almost fell off his bike.